Dr. Pachler was born and raised in Mississauga. After graduating from Glenforest Secondary School he received his Bachelor of Science degree from the University of Waterloo in 1991. He then went on to study in the state of Florida and received his Doctor of Optometry degree from Nova Southeastern University in 1995. Dr. Pachler graduated with honours as a member of the Beta Sigma Kappa International Optometric Honour Fraternity. At that time he also received his certificate in the Treatment and Management of Ocular Disease. After graduation, Dr. Pachler worked in Hamilton and St. Catharines before settling in Oakville in 1999. Enjoying the community to the fullest he decided to open his present full scope modern family practice in 2002. Dr. Pachler has three young children with his wife Mena and, when time permits, enjoys playing golf. 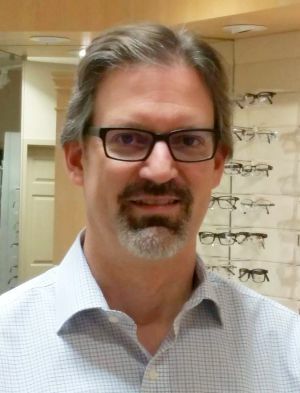 Dr. Pachler is a member of the Ontario Association of Optometrists and Canadian Association of Optometrists. He has extensive experience with patients of all age groups and has made sure his practice is exceptionally child friendly even for the youngest of ages.